HomeBlogArticle ArchivesWhen Should Seniors Stop Driving? Warning signs that seniors should give up driving. Driving is a sensitive subject for seniors. 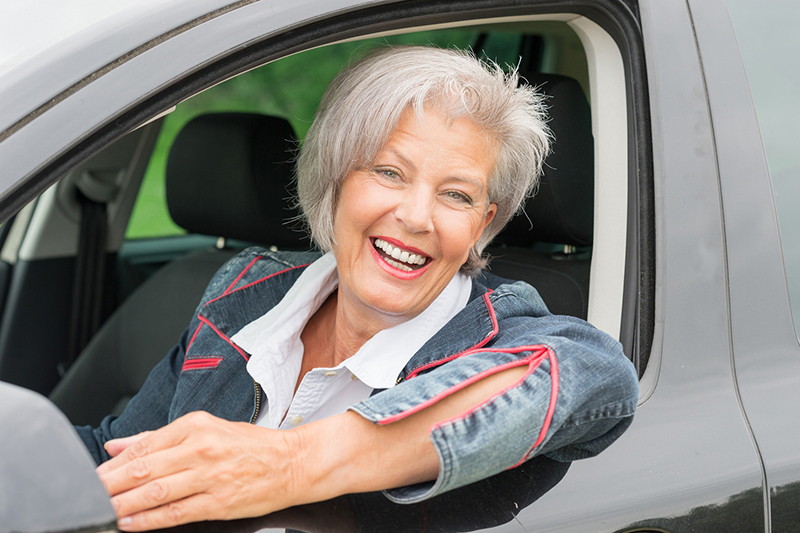 Driving is a key aspect in maintaining our independence as we age. But it’s entirely normal for our abilities to dwindle as we get older. Whether you have an elderly loved one or aging parent, it’s natural to see signs that they should give up the keys to their vehicle. It’s good to remind them that it doesn’t mean the end of their independence. Check out some of the red flags that indicate that your parent should stop driving. If your aging senior loses focus and fades in and out of concentration, it’s a good indication that they should stop driving. Lack of concentration also means they drive either too slow or too fast for conditions, and don’t pay attention to road signs. In this case, they put themselves and others in danger. Sight and hearing issues can cause major problems while driving, such as not hearing other cars honking and not being able to see traffic lights and lines on the road. He or she may feel that they need to drive closer to the vehicle in front of them to see them clearly, but this is dangerous for all involved. Including traffic tricks and “warnings” by traffic or law enforcement officers. If your aging adult is getting pulled up on their driving, it may be time to re-evaluate their need to drive. If your senior is not reacting quickly enough to break suddenly or quickly look back to check their blind spot, confusing the gas and brake pedals, getting flustered while driving, or being quick to anger when behind the wheel, it may be time to stop driving. The fundamentals of driving should never be difficult. If the adult is making sudden lane changes, drifting into other lanes, and braking or accelerating suddenly without reason, it could be dangerous for them to be behind the wheel. This is a sensitive topic and talking with the elderly about leaving the car requires a lot of patience and understanding. Quality auto insurance will help to protect your elderly loved one when they are behind the wheel. For the right policies to suit your needs, contact AimPro Insurance today.